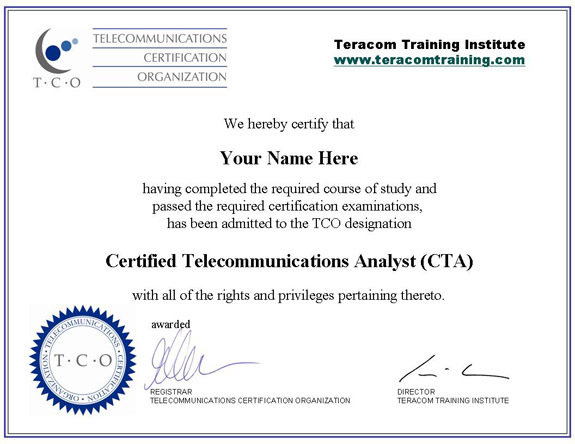 Certification packages are an extremely cost-effective way of implementing consistent, comprehensive telecommunications and network technology fundamentals training, ensuring that both existing resources and new hires are up to the same speed, with a common vocabulary, framework and knowledge base. The testing associated with the certification package provides concrete measurement of competency in key knowledge areas. Employers can have individuals or entire teams take the tests. When applied to an entire team, management can view who has taken the test, when, what the results were, and export the results to Excel or CSV for incorporation in presentations and reports to upper management. These reports identify skills strengths and deficiencies, and are a demonstration of meeting managerial objectives of team building and return on investment. Tests can be before and after training, to generate ROI statistics - proof you are doing a great job as a manager and a solid basis for next year's budget request. Before-and-after tests may also be used to as a method of evaluating whether an employee in fact attended a scheduled course. Our training partners' Learning Management Systems can register and manage all of your people through courses, exams and certificates. For larger organizations, the courses and exams can also be licensed and deployed on your internal LMS.